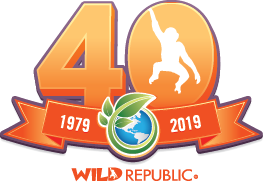 Wild Republic has strong partnerships with retailers from around the world to help get our nature-inspired products into the hands of children everywhere. We strive to adhere to our core values in everything we do, so it’s important to us to make a positive impact on our customers, community and planet. Accordingly, we place people first and are driven by excellence in customer service. We take great pride in supporting our retail partners and offering them high quality products at reasonable prices. If you are a retailer interested in carrying our products, just fill out the form below to begin the partnership process. If you have already discussed a partnership with us, download our credit application.